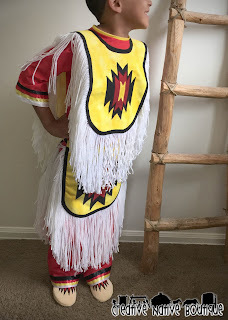 This was definitely a fun outfit to make. 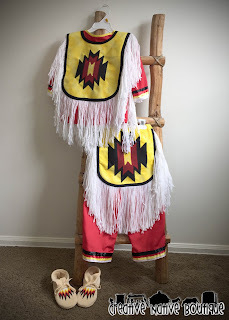 This is a size 5t Boys Grass Outfit with matching moccasins in traditional colors: white, yellow, red & black. 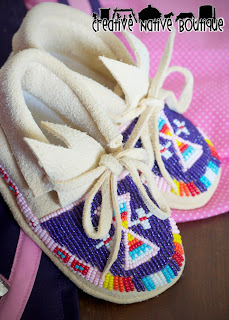 On its way to South Dakota! 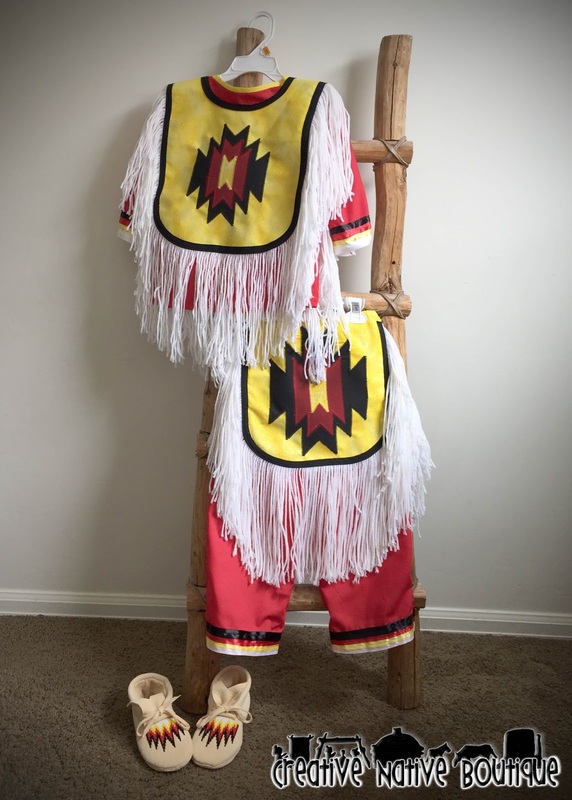 I made this super cute outfit for a little Jingle Dancer in Lousiana! 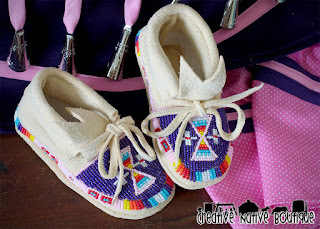 It was so fun to make. It's a size 2t. 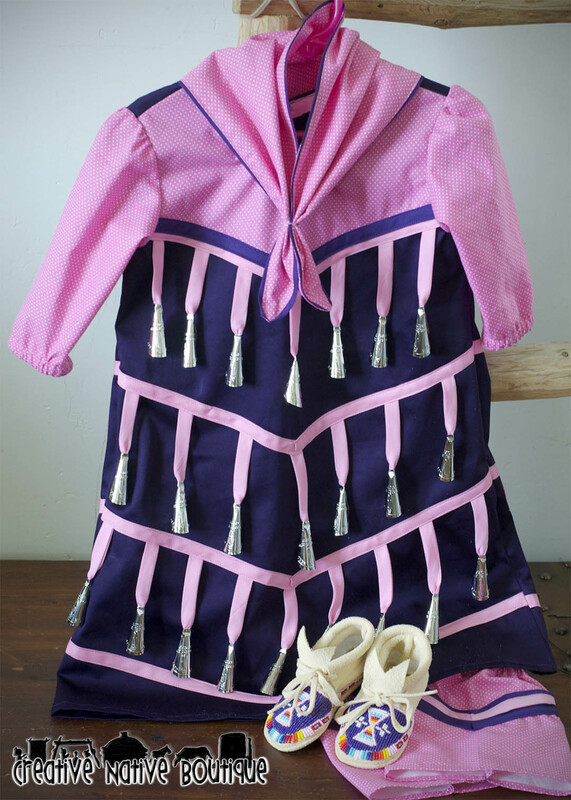 Comes with Matching handkerchief and elastic leggings. 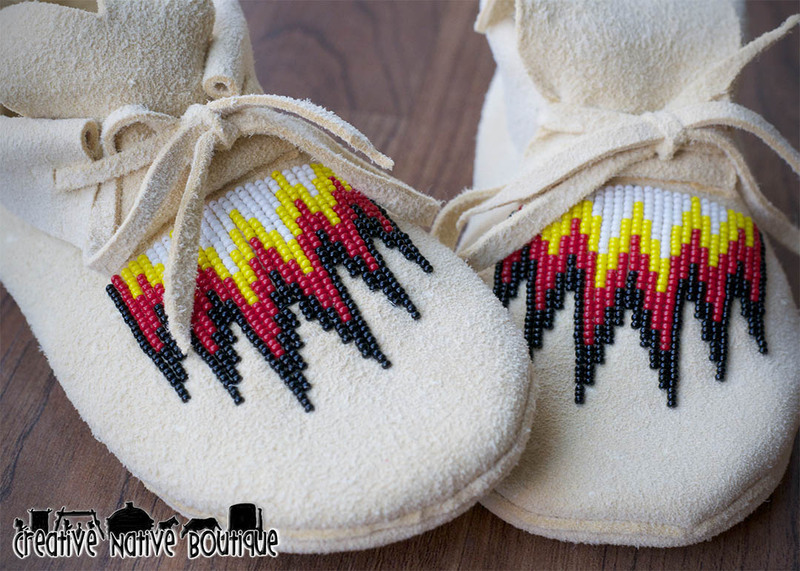 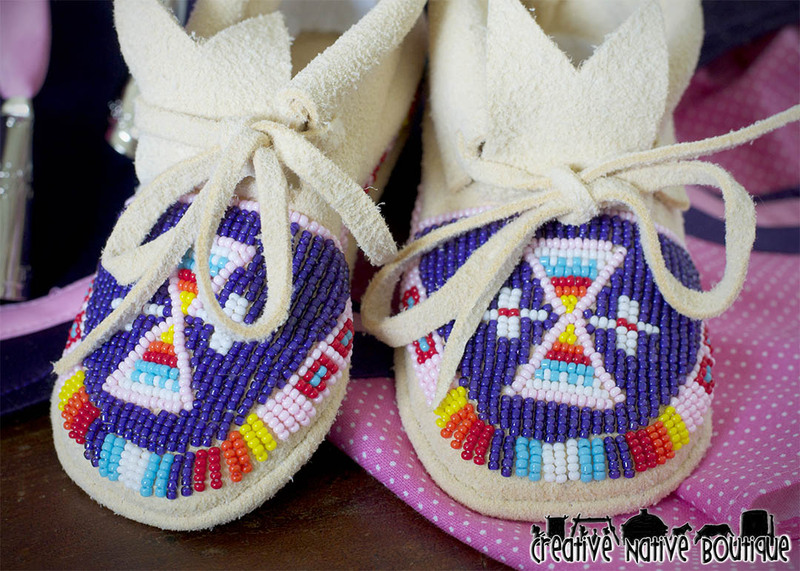 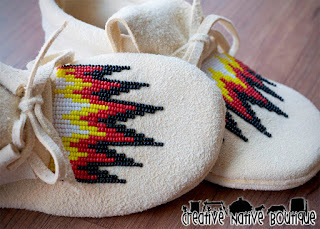 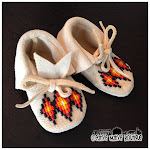 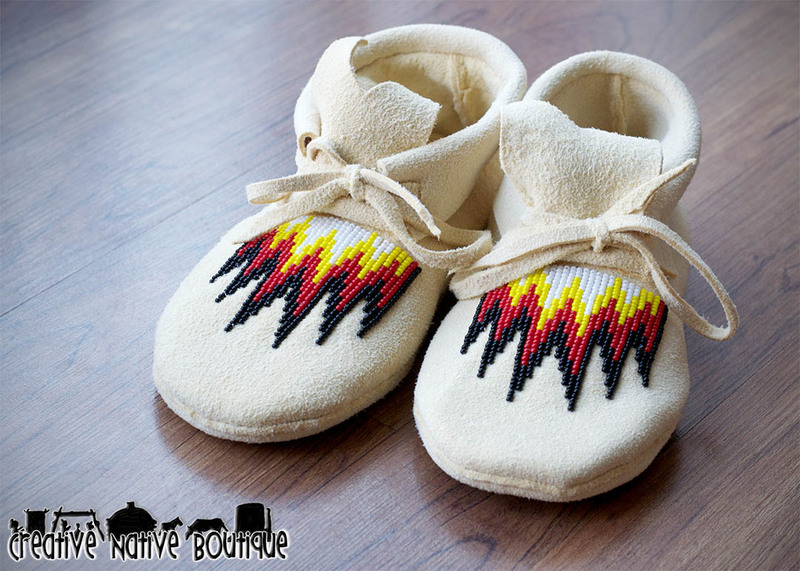 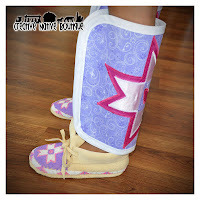 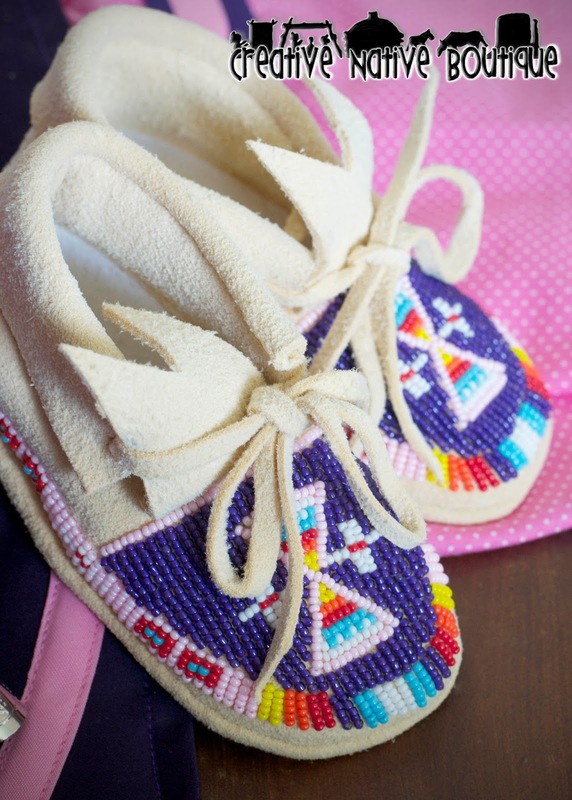 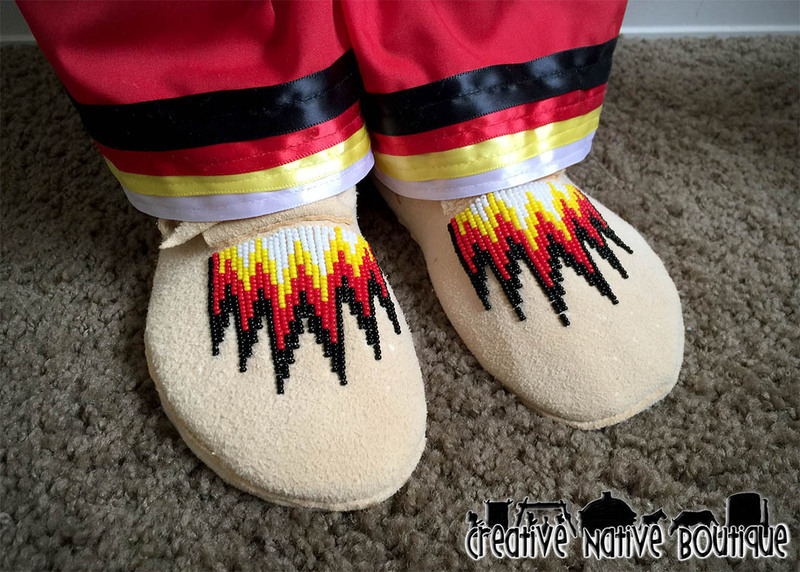 The moccasins are a custom design and are a size 5. This cute girl is ready to Pow Wow!